There are plenty of completely normal reasons why your hair is shedding—in fact, it's part of the hair cycle for hair to fall out. But when you start to notice lots of strands clogging up your shower or coming out when you brush your hair, it can be alarming. Trichologist Dominic Burg, chief scientist at Evolis Professional, says that around 100 hairs a day is considered normal. Basically, he explains, hair goes through periods of growth that last about five to seven years, then they chill for a while, and then they fall out. Obviously not every strand of hair is on the same cycle (otherwise we'd all be bald every five years). "The follicles cycle asynchronously, meaning they each do their own thing in their own time, and this results in about 100 hairs per day entering the falling phase," he says. "This may sound like a lot, but if you compare that to the number of follicles on your head—between 100,000 and 150,000—then you're only shedding 0.001% of your hair each day, and each of these is being replaced by a new hair shaft." But when you start noticing a lot more hair in the shower, or your hair comes out easily with just gentle pressure, you may be experiencing excess shedding. We spoke with Burg and trichologist Michelle Blaisure, Bosley Professional Strength product and technical specialist, to find out why you might be experiencing more hair loss, and how to stop hair shedding. So what causes hair shedding? "There can be a number of causes; genetics is the primary reason for men and many women," Blaisure says. But many women commonly experience hair shedding thanks to stress and lack of nutrients (like vitamins B, D, and zinc). "Another common reason for excess hair fall is hormonal changes, particularly in women," Burg adds. "These can happen with pregnancy, childbirth, a change in contraceptive pill, or during menopause. The change in hormones can affect the way hair grows by shortening the growth part of the hair cycle, leading to increased fall." But don't panic: He says this is completely reversible. "This sort of phenomenon is referred to as telogen effluvium, which just means that a group of hairs have stopped growing at the same time and then have shed together," he explains. Also, your hair and nails take a lot of energy to grow—but they're not top priority for your body, which is why you may experience shedding during times of physical and emotional stress. "Eat a balanced diet, with plenty of vegetables, lean meat, and seafood—all of these contain the essential nutrients for hair," Burg says. Alas, if you're experiencing shedding, a tight ponytail is definitely not helping. "Avoid tight hair styles and harsh chemical treatments or heat near the scalp," Burg advises. "These can stress follicles and lead to increased hair fall." "Get at least seven to eight hours of sleep, as the body and mind need that amount to regenerate," Blaisure advises. We know that's easier said than done, so here are our very best tips to help you actually log enough beauty rest. Haven't you heard? Multivitamins are super cool now. 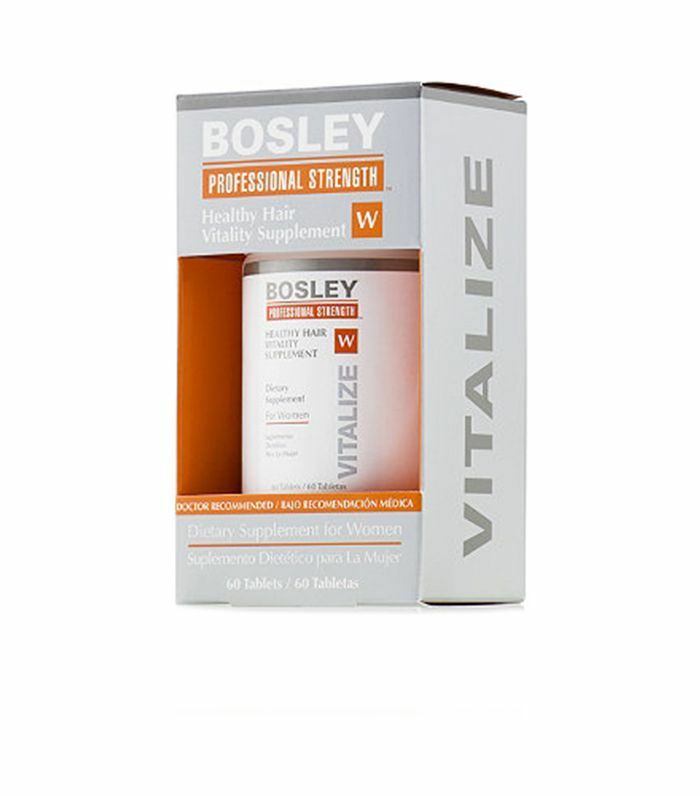 Blaisure says to take a multivitamin, like Bosley Strength Healthy Hair Vitality Supplement (pictured), to help make sure you get the nutrients you may be lacking. We're also fans of Ouai Hair Supplement for Thinning Hair ($28). Blaisure also recommends getting plenty of omega-3 fatty acids in your diet, as they can help boost hair growth. 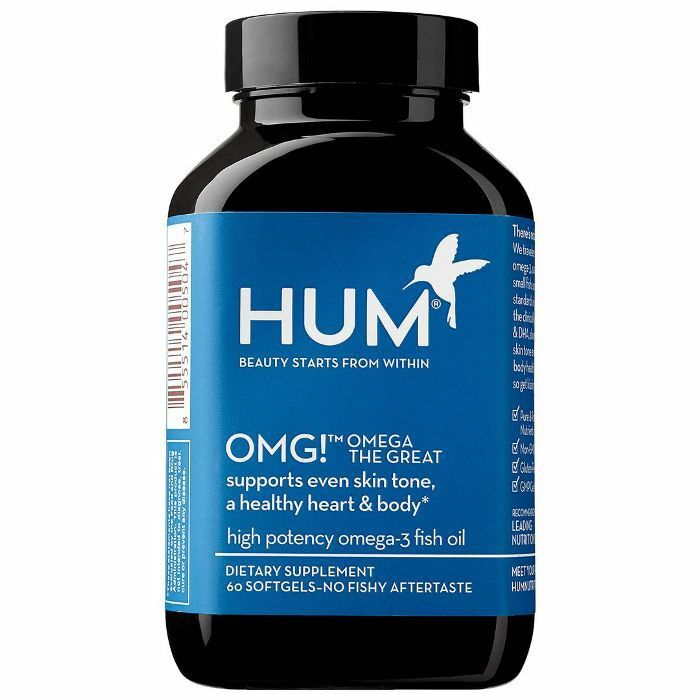 You can get these in the form of whole foods like salmon and chia seeds, or try a fish oil supplement from a quality brand like Hum Nutrition. Next up: the 8 hair-loss products experts swear by.